Can Wearing your Shoes Feel Like a Walk in the Clouds? For years now, cosmetic surgeons have been using injectable fillers in people’s faces to make them look younger and feel better about themselves. Well, leave it to medical science, a new application for the same type of FDA approved product, and it involves injectable fillers for the feet. It’s true, Juvederm for your feet now allows you to dance the night away after having worked all day. Every time you get so much as a twinge of pain in your foot, you are off to the pharmacy for a remedy, but other than when actual pain develops, you spend little time considering your feet. Wake up call! We all abuse and stress our feet on a daily basis. Multiply that by a million, and there you have it, an explanation for foot pain. Women especially have greater and more frequent complaints because of their choice in shoes. 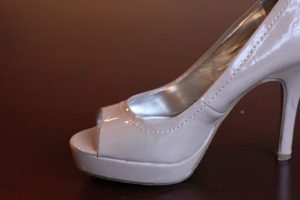 High heels that just about force you onto the balls of your feet seem to be a major factor in “ball of foot” pain. As time marches on, the effects of time and abuse thin the underlying tissues in the bottom of the foot. With the natural padding no longer effective, bone presses on the ball of the foot and causes significant pain. Fillers, such as Juvederm or Sculptra are injected beneath the skin in order to pad the area, thereby replacing what nature and aging had taken away. This gel like substance can be used in different parts of the foot – bottom top and sides. These gel substances have surprising longevity and offer the patient months free from pain. With the comfort of the patient in mind, these gels are manufactured with a mild anesthetic to reduce discomfort associated with the shot. The process requires only a short time investment of about 20 minutes. The patient can walk away with only mild discomfort from the injection itself. A filler treatment lasts for up to nine months, and as subsequent treatments are administered, more benefit is recognized. The treatment is safe, effective and can be repeated as often as necessary. If you are experiencing foot pain and think you may benefit from injectable fillers, call Drs. Brook and Northcutt at (972) 566-7474 (Medical City) or (972) 943-3323 (Baylor/Plano). Ask them to advise you about the benefits of Juvederm. Dallas Podiatry Works is all about wanting you to enjoy pain free living. Go ahead – take a walk in the clouds!